So pretty, but you must be looking forward to Spring now. This is lovely,such soft colour & beautiful snow. Poor little blossoms. Beautiful shot, though. 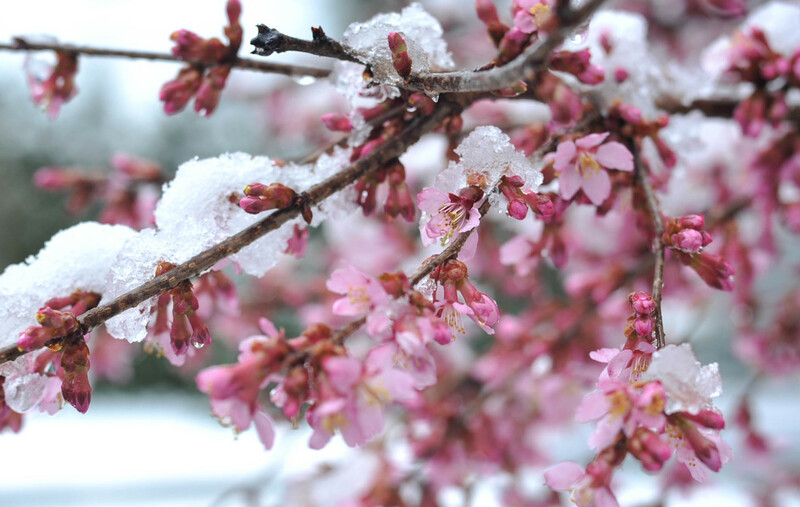 Blossom & snow, hope the cold doesn't cause damage to the flowers!